By Eric Thomas: If trainer Freddie Roach had his way the prospective mega fight between WBC middleweight champion Julio Cesar Chavez Jr. and WBC junior middleweight champion Saul Alvarez will take place at the full middleweight limit of 160 pounds rather than 156 pounds, which would accommodate the smaller Alvarez. Roach, who trains Chavez Jr., is reportedly against a catch weight for this fight despite his most famous fighter Manny Pacquiao having fought at catch weights a number of times. I guess its good enough for Pacquiao but not good enough for the smaller Alvarez. In this case, the 5’9” Alvarez really needs a catch weight because he only recently moved up to junior middleweight and will be giving away a lot of size against the 6’0” Chavez Jr., who looked huge in his last fight against Peter Manfredo Jr. last weekend. If both Chavez Jr. and Alvarez were roughly the same size by fight time, this would be a fair fight. But if Chavez Jr. scales in at 180 lbs the night of the fight after rehydrating, it would give Chavez Jr. a tremendous advantage. Roach may not like it but he’s going to have to accept the 156 pound catch weight because Alvarez’s promoter Oscar De La Hoya has already said he won’t make the Alvarez-Chavez Jr. fight unless it’s at 156. Roach obviously wants Chavez Jr. to have a huge advantage in this fight but it’s not going to happen. It’s unclear how much longer Chavez Jr. will be able to continue to make the 160 pound middleweight limit because he’s getting bigger and bigger. At some point, he’s going to get diminishing returns and will be too weakened to continue fighting at 160. He’s only 25-years-old and fighters tend to start battling weight problems in their late 20s. 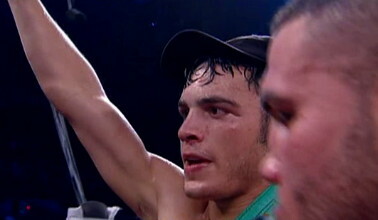 At best, I see Chavez Jr. staying at middleweight for the next two, possibly three years. But after that, he’ll have to move up to super middleweight where there really won’t be a place for him there. The division is too good and Chavez Jr. will have to skip that division to try and find success at the weak light heavyweight division.